Cornish winery Camel Valley has made a number of extensions and improvements to its winery which has seen it double its riddling capacity and have space to store up to one million bottles. 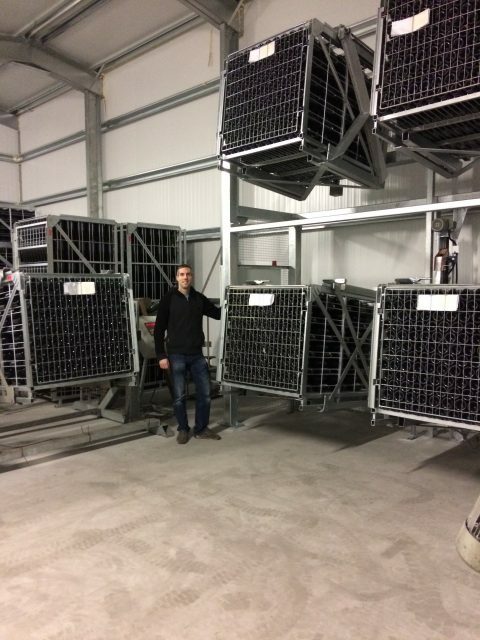 Camel Valley winemaker Sam Lindo with the new gyropalettes. The family-owned vineyard, set up in 1989, has been quietly plugging away, installing a number of new features at the winery. Speaking to the drinks business this morning, founder Bob Lindo stressed that the improvements listed below are part of a long-term plan formulated over the course of almost 30 years of vinegrowing. “We had an extra four station gyropalette installed only yesterday,” he said. “Previously we had the capacity to riddle 2,000 bottles at a time and now 4,000 bottles, which equates to 250,000 bottles a year”. This was just the final piece of an ambitious project that has seen Camel Valley complete a winery extension and build a new service road. “Storage for bottle lees ageing is the elephant in the room for the English sparkling wine industry,” Lindo told db. “We don’t have the miles of cellars like they do in France, so we must seek other alternatives. If you want to produce 150,000 bottles a year, for example, then you have to be able to store half a million bottles, and that’s if you are selling on schedule”. He said that his son Sam, the winemaker at Camel Valley, had anticipated that this would be a problem going forward. “Sam also constructed a new road to separate lorries and delivery vehicles from cellar door visitors”. 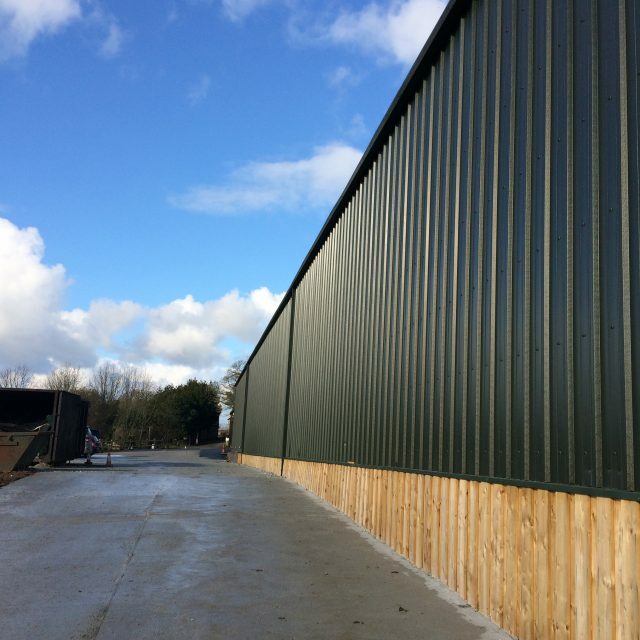 Camel Valley’s new storage facility. When asked whether the move would in part help to build up a stock of reserve wines, which some English wineries are currently are developing, he said that Camel Valley prefers “the vintage concept”. He said that the increased storage capacity, however, would mean that the winery will be able to age bottles on their lees for longer. “There’s something nice about capturing a year in a bottle. I find tasting a 1994, for example, brings that whole year back to life. So, although we are not planning reserve wines, we are in a position to have longer lees ageing, which does seem to add a pleasing creaminess to that ‘mouth-watering acidity’,” Lindo added. Sustainability is also a key priority for the winery, and as such, all the winery buildings are solar powered with excess power sold on to the National Grid. The waste fruit generated also makes up a portion of the fodder for local dairy cows. These production and logistical improvements will help the winery to fulfil contracts such as its recent listing on British Airways First Class airplanes. It achieved the coveted spot in November last year with its 2013 brut sparkling wine. I’ve been keeping an eye on this new storage facility since it was just a slab of concrete on the ground. Storage for reserves and bottle-ageing is important for any quality-minded sparkling wine producer, but something of this size in proportion to Camel Valley’s production will be absolutely essential in the future, given the UK’s climate, with or without global climate change. It demonstrates the Linos are the top of their game. Well done guys (and Annie! ).